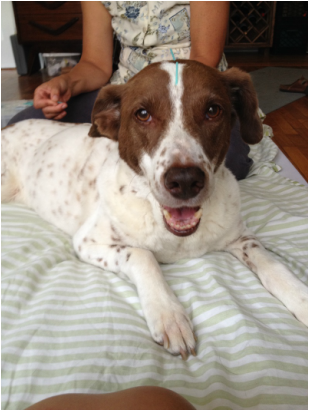 Hannah Nicole chilling out with acupuncture. 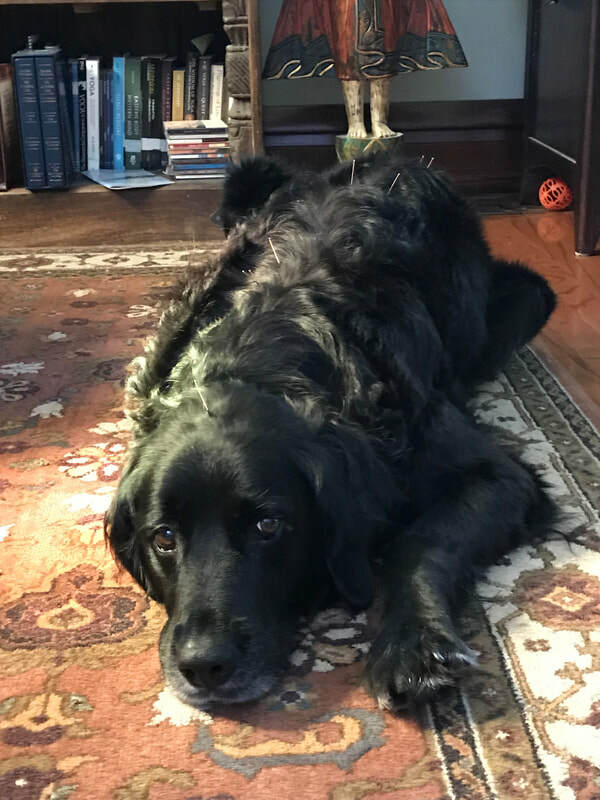 Sherman napping in the sun during treatment. 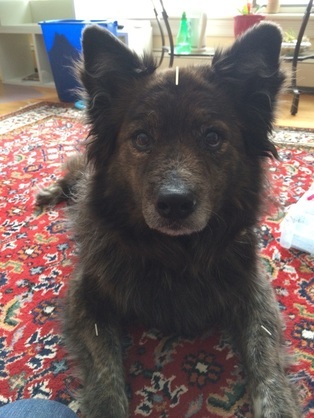 Cobie is ready for anything! 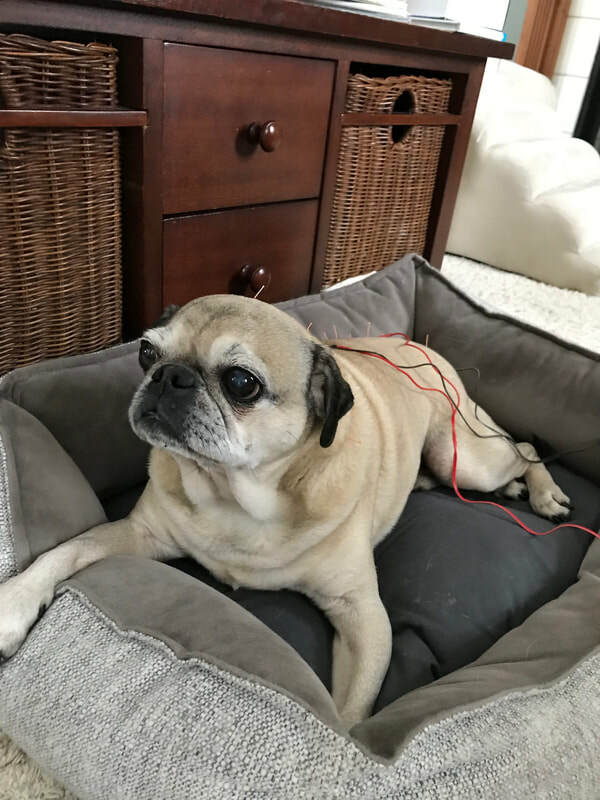 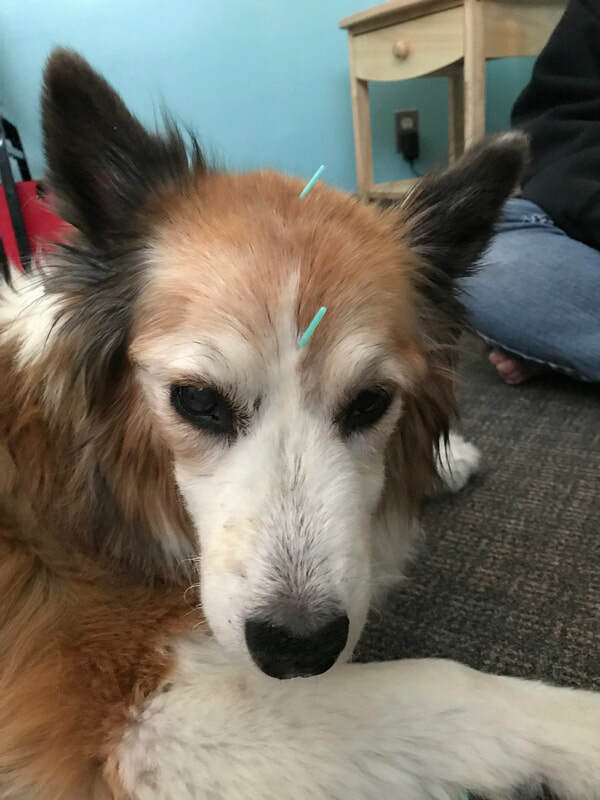 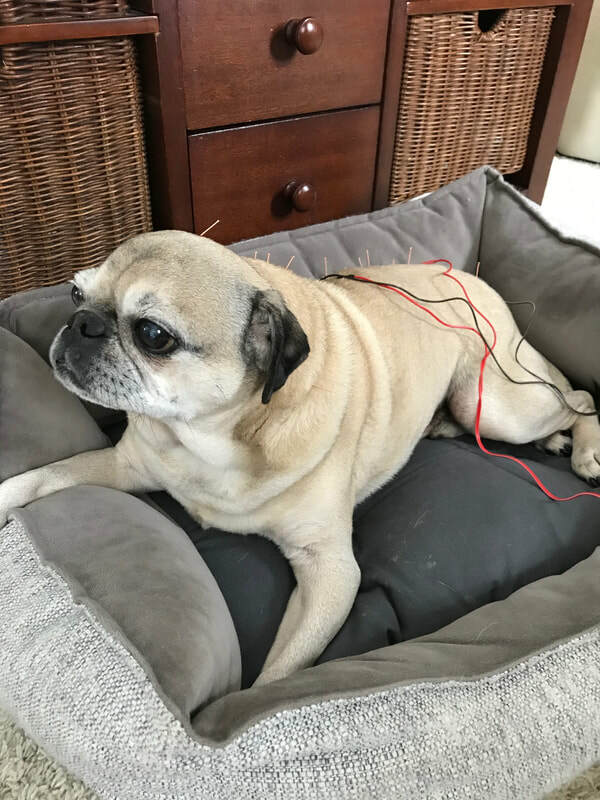 Einstein enjoys acupuncture for his FCE. 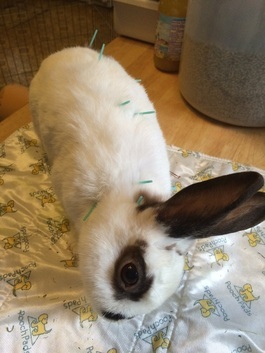 Jackson chills out during acupuncture. 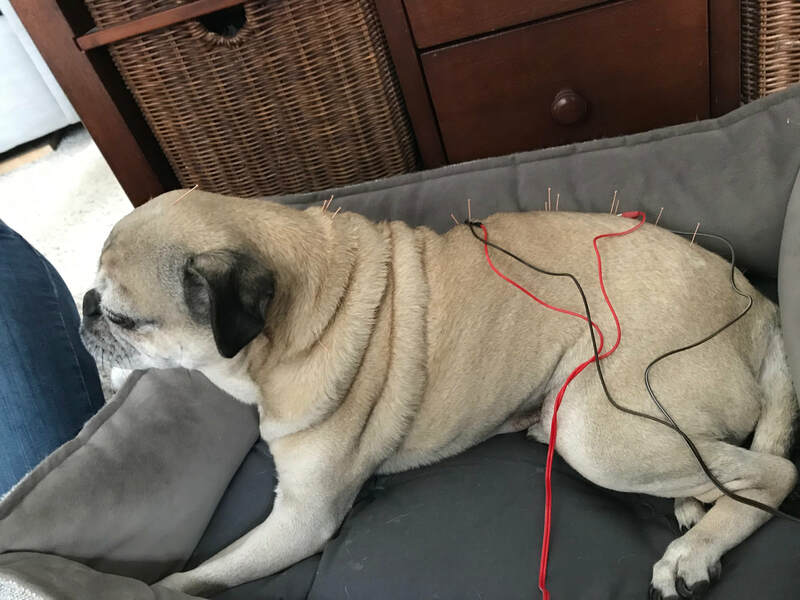 My son does acupuncture on his stuffed lamb!